Happy Solstice! Today’s the day! And Happy Sun in the sign of Cancer the Crab! And Happy Full Moon on the 23rd! A busy week in the skies! 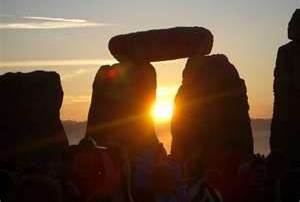 Let’s talk about the Summer (in the northern hemisphere) Solstice first. This occurred at 1:04 am Eastern Daylight Time (EDT) TODAY, Friday, June 21 when the Sun went into Cancer. We know this is the longest day of the year, the day with the longest period of sunlight. Let this be a metaphor for you to let in the maximum amount of Light that you can absorb into your own energy field. This is a powerful time that invites us to accelerate our evolutionary process by accessing inner wisdom to shine that Light onto our path ahead. What are you doing for yourself in these days of transformation that take you in quantum leaps forward in your growth? Meditation? Time in Nature? Spiritual gatherings with like-minded others? Give yourself permission to explore new ideas so that you can experience exponential growth at this time! On Sunday, June 23 at 7:32 am EDT we’ll experience the Super Moon Full Moon where the Sun is in Cancer and the Moon is in the opposite sign of Capricorn. This is occurring when the Moon is at its closest point to Earth this year. This weekend would be a great time to do a Solstice/Full Moon meditation and get a vision of the next three months for yourself. Pay attention this week to the ways that you ignore your own needs or those of others. Have you been wanting to schedule that self-care appointment but have been putting it off? This is the week to pick up the phone. This could be as simple as getting a massage or a manicure or it could be the time to finally schedule that Scientific Hand Analysis to learn your Life Purpose or to join a coaching program. The energy is the ‘do it now’ energy and it’s a good time to nurture yourself. When you have taken care of your own needs, you are better able to serve others from the Heart of Humanity. HIGHLIGHT: Get some guidance about the coming months for yourself and have some fun while you get your message! The July Conversation with The Other Side is on a Saturday evening in Annapolis and on your computer or phone (yes, you do not have to be in Annapolis to participate! ), July 13 at 7:00 pm EDT.Each Conversation contains awesome guidance for all who attend as well as personal messages from angels, guides and loved ones for each attendee. At the last Conversation we had everyone from Grandma to a gigantic Angel to a poet. And Mother Mary came with a message for all of us. These events are recorded so that you can listen again afterward. Please join us and learn what you need to know NOW! More information is here: website And there’s information on the website about hosting your own Conversation with The Other Side in the comfort of your home with a few friends plus online guests can join from anywhere in the world. School’s out here in Maryland and we’re enjoying Summer activities. I hope you’re having fun, too. This is a special week – Love yourself through it!